With a BRAND NEW location we are the biggest, scariest, and newest Haunted House in the area. Located at 5520 W 111th Street in Oak Lawn, featuring two terrifying haunted houses with over 60+ rooms and 100+ actors directly from your worst nightmares. You will experience 26,000+ square feet of realistic detailing, and mind blowing special effects that are sure to get your blood flowing. So Travel to Oak Lawn this fall to Midnight Terror if you want to truly Experience FEAR! 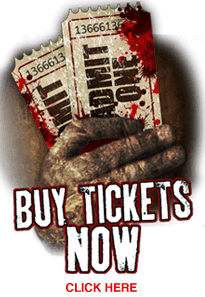 ABOUT "MIDNIGHT TERROR HAUNTED HOUSE"
With a BRAND NEW location by Chicago, we are the biggest, scariest, and newest Haunted House in the area. Located at 5520 W 111th Street in Oak Lawn, featuring two terrifying haunted houses with over 60+ rooms and 100+ actors directly from your worst nightmares. You will experience 26,000+ square feet of realistic detailing, and mind blowing special effects that are sure to get your blood flowing. So Travel to Oak Lawn this fall to Midnight Terror if you want to truly Experience FEAR!